Mech modification adds 21 types of vehicles to the game that you can drive and fly. 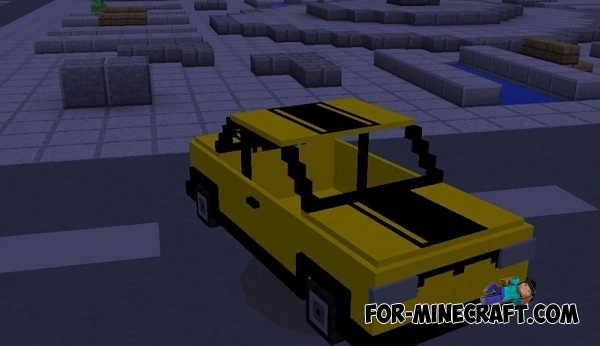 You have access to all vehicles, as well as the ability to change their color using paint. Mech Mod for Minecraft PE 0.17.0 (1.0) will be updated only after the tests. 3 new types of off-road vehicle. 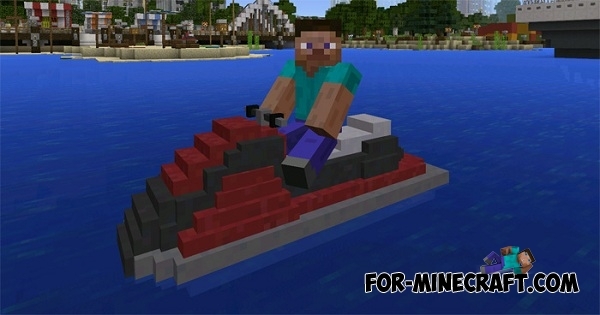 Added new boats: jet ski, fishing boat, speed boat. Support for Minecraft PE 0.14.x. 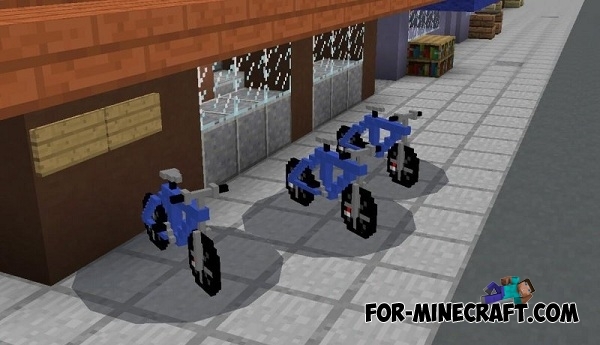 Added new vehicles: Kick scooter, skateboard and hoverboard, monocycle! 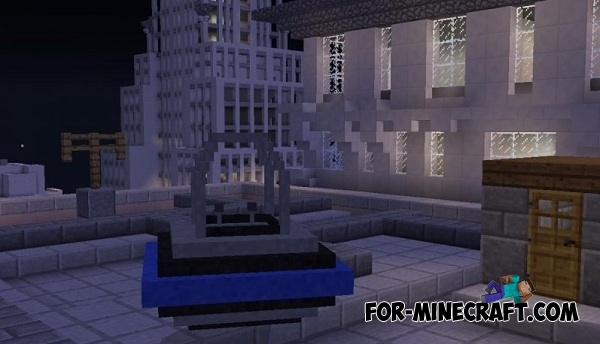 New buttons in the Minecraft style. 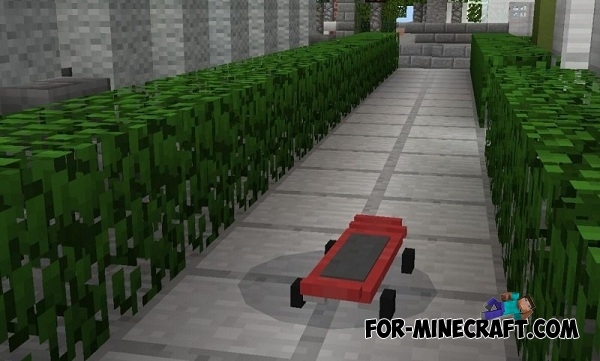 Support for Minecraft PE 0.13.0/0.13.1. 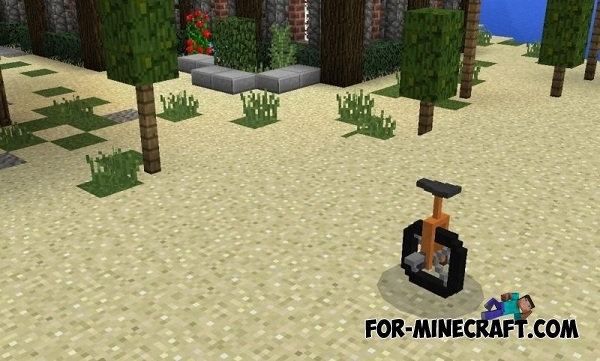 Support for Minecraft PE 0.13.0/0.13.1/0.14.0. 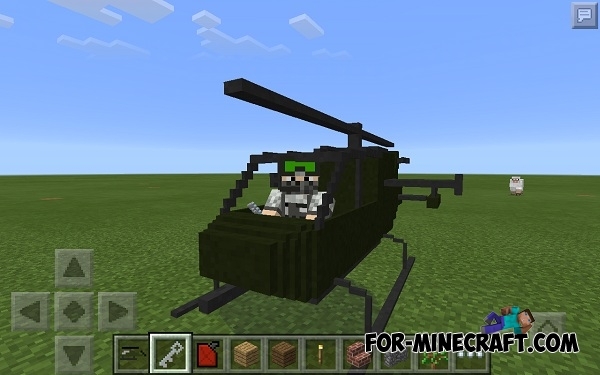 Has been added the helicopter. 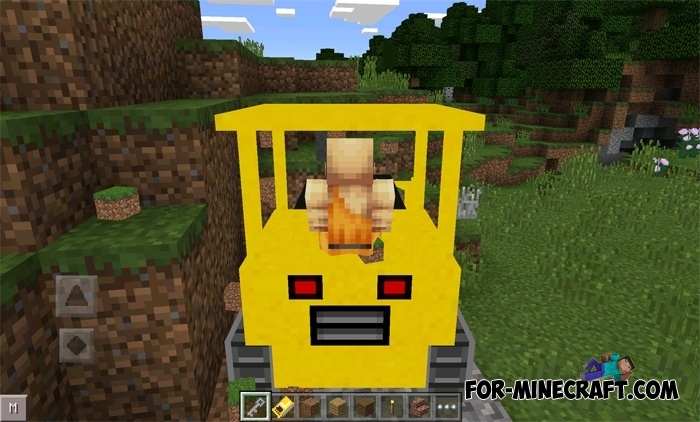 How to use the vehicle? All vehicles can be crafted with the help of certain things (crafting list below) .Tap by subject to any place. Now you need crafted a key that is needed to get into the car. But before that, do not forget to check the gas tank! Key (1000) - 1 iron ingots. Gasoline can (1001) - 4 coals + 1 iron ingotsbar. 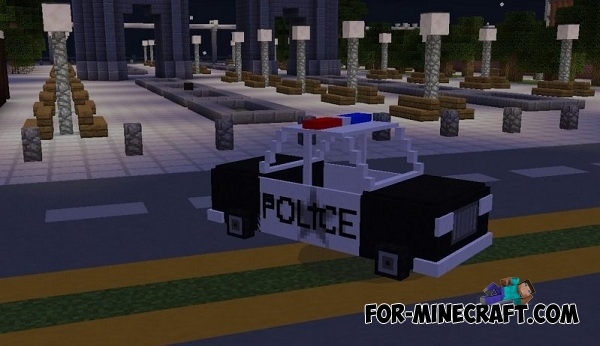 You can change the police skin and patrol the streets of the city! This car is much faster than normal. 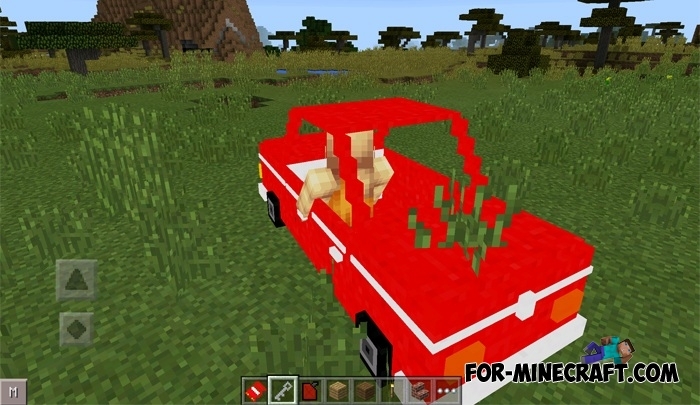 The simplest means of transport in this mod. Machine gun and rockets - it will help you make a hell on earth! The bulldozer is able to break the blocks. 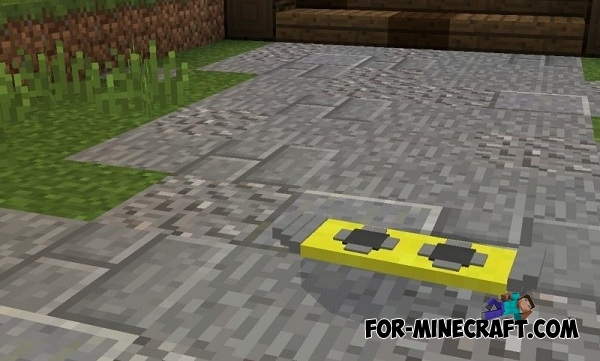 This will be useful for leveling the surface. Tank - lethal machine, which can be used to destroy any target. 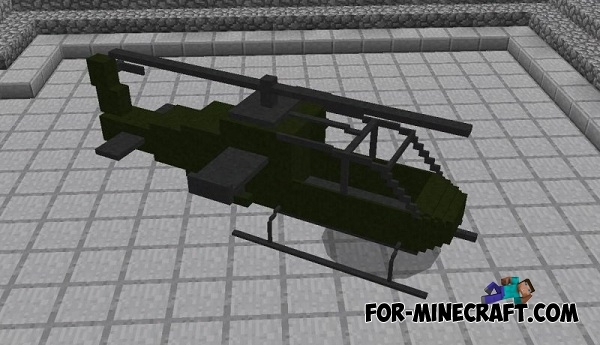 Attack the enemy from the air dropping bombs on them. 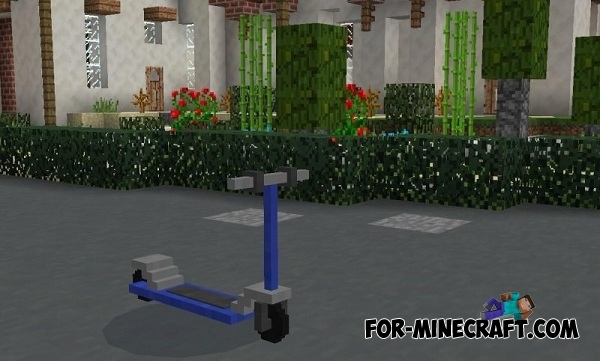 Take the Kick scooter for walking! It is the perfect vehicle for a relaxing trip.. If you watched the "Back to the Future" trilogy, then you'll love hoverboard - it is without wheels and floats above the ground! You've always dreamed of becoming a professional clown? 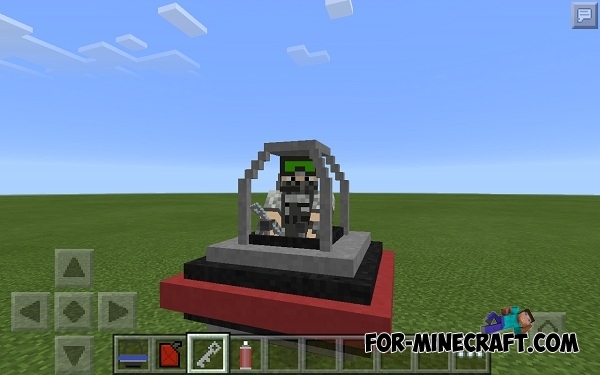 Try a ride on a monocycle! Jet ski - a hydrocycle, which is ideal for those players who want to have fun on the high seas. Hydrocycle pretty quick! You will be pleased to fish with a fishing rod in this boat. 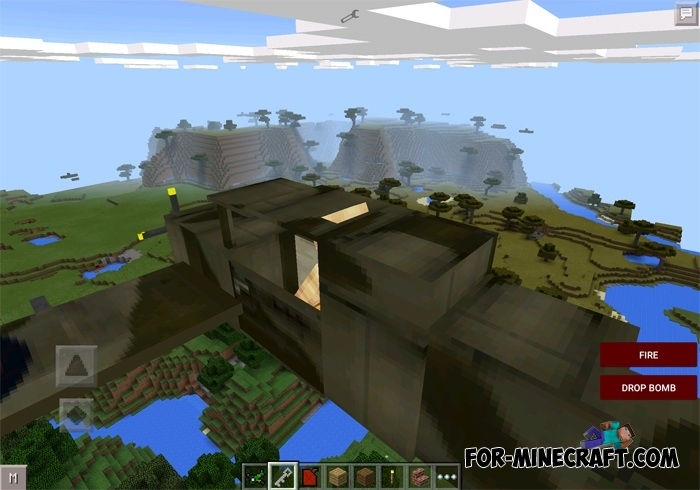 Sit back, relax and enjoy this wonderful world of Minecraft.. This boat is for those who love speed. The boat is ideal to quickly get away from the crowds of monsters! With its help you can move around on the dirt and other rugged places without any problems. The bike is very fast and requires little space in your garage. ATV is very similar to the car but has a greater passability. Every traveler should have this thing at home. If you live in the desert, you just need a buggy. This vehicle has a high speed and excellent maneuverability. Download the archive from the link below and unzip. Install MCPE_MECH_TP (v1.1.5) .zip texture pack. Restart the BlockLauncher and install the MCPE_MECH (v1.1.5) .js script. Restart BlockLauncher and install the MCPE_MECH_PRO.js script. You need to copy the remaining files in the folder /games/com.mojang/MCPE_MECH/, pre-create this folder. 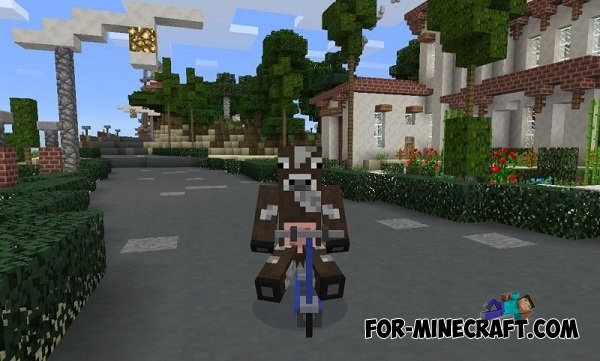 Hey guys how do you download the newest version?